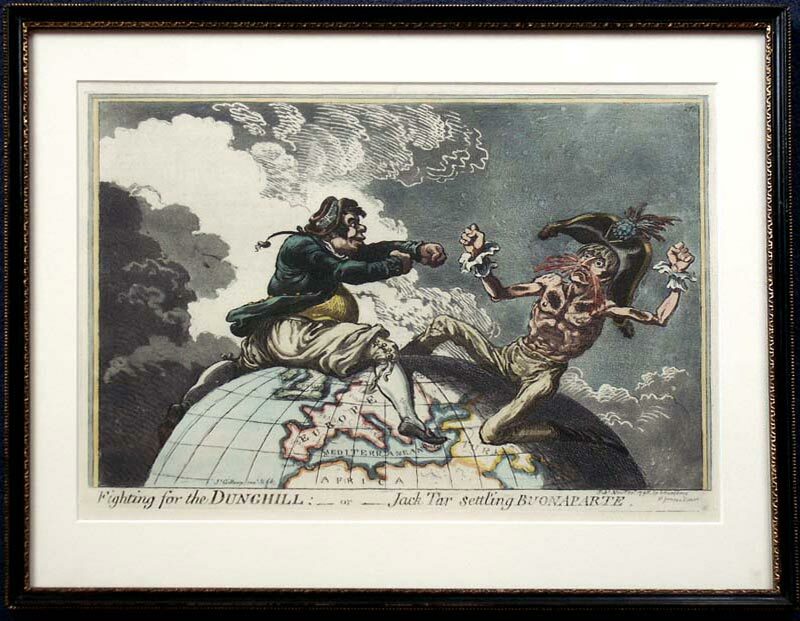 Although these prints were issued in the 1840’s they originate from the 1790s and early 1800s, offering us a humorous look at London life during the reign of George III, especially the conflict between the Whigs and the Tories, the French Revolution and, later, the wars against Napoleon. Few escaped his satirical eye as he followed the elite throughout London with favourite subjects including the Royal Family and politicians such as Pitt and Fox. It was not unknown for the rich and famous to pay him a retainer in order to avoid the wrath of his etching needle! His work was enthusiastically collected both at home and on the continent. After his death in 1815 various publishers issued collected editions of his caricatures: Bohn's was the most complete, including the more risqué engravings known as the "suppressed plates".